A veteran of systems design and ecosystem engineering, Gina Puzo is currently the IA Lead and UX Strategist for a large financial company. She has a Master’s degree in Library and Information Science from Drexel University and a DBA certification from Learning Tree. But she believes there is no teacher like doing the work, making mistakes, having successes, and making sure to get feedback. As well as working in large companies, Gina was fortunate to catch the wave of entrepreneurial start-ups and get experience in non-profits. 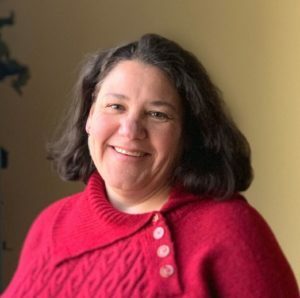 She has developed and taught Affinitization 101 — an IA workshop using animal crackers — for 15 years, and is a member of Vanguard Adjunct Faculty. Having grown up professionally at the same time as Information Architecture was becoming a field, she feels she could always answer the question “what is Information Architecture?” The grouping, labeling, and hierarchy of the right information accompanied by the structure and flow of discrete units of the right information. The harder question was always, “why care about it being done right?” Could it be as simple as usefulness, ease of use, and scalability. Good IAs can and will argue about this. She hopes her presentation sparks similar dialog in this age of CX Strategists and Journey Owners.